This 18 tonne hot box roadmender has an econ twin chamber and is available for both short and long term hire depending on your preference. It comes complete with digital temperature control and all of the specifications outlined below. Please see the attached PDF for more details on this hot box, and contact us for hire. Econ Twin Chamber Hot Box (60/40 Split). Hot box Propane gas heating system. Side Tipping body between Cab & Hot Box. Rear & Cab mounted beacons. 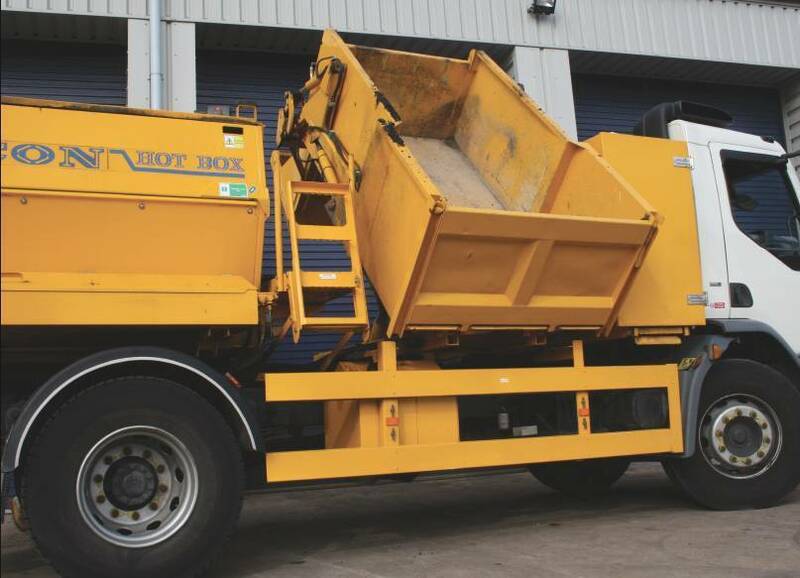 This 18 tonne hot box is fitted with a dedicated roadmender unit. It has an econ twin chamber with a 60/40 split. It has a digital temperature control and propane gas heating system. 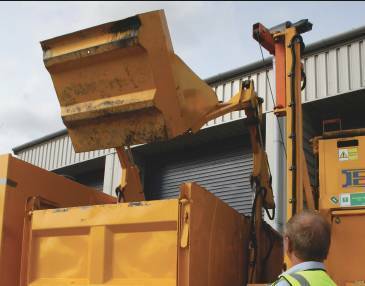 It has a side tipping body between cab and hot box and electric cylinder loading winch. 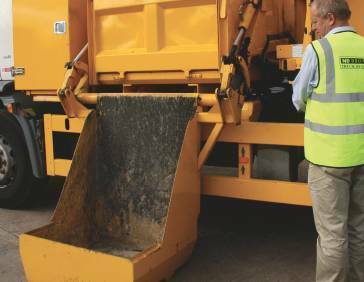 For ease of use it’s also fitted with a hydraulic loader bucket and hydraulically driven discharge augers. If you would like more information about our hot box hire roadmender vehicles, or for a quote please contact a member of our team.